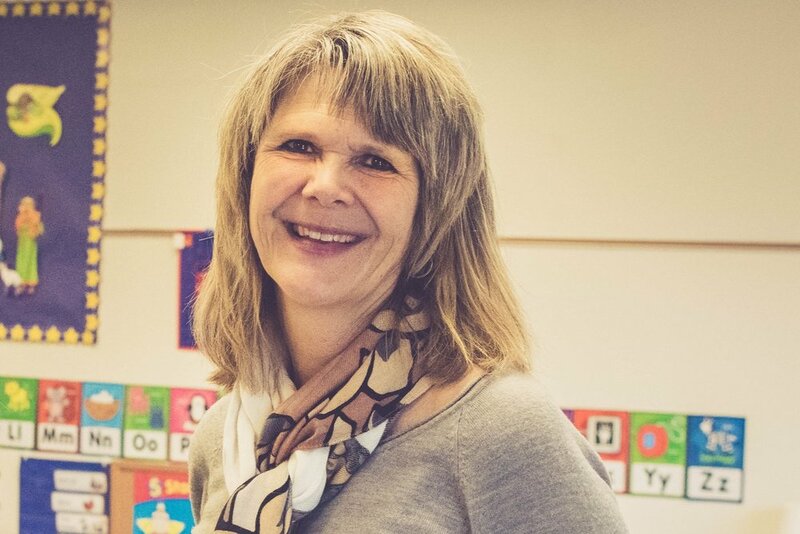 Jacquie has been involved in SonShine preschool from its beginning, first as a preschool board member, then as a classroom volunteer and for the past 10 years as a teacher. "Before officially becoming part of the staff at SonShine I was a stay-at-home mom to our 3 now grown children (who all attended SonShine many years ago!) and spent many hours volunteering in their classrooms. I love working with preschoolers -- how many people get to go to work and play?! It is awesome to see their faces light up with excitement as they learn and explore and especially to hear them boldly proclaiming that Jesus loves them! When I'm not at preschool I enjoy walking, spending time with my family (especially summers at the lake), sewing and baking cookies!" Themes and activities are designed around the emerging interests of the children; Bible lessons from Voyages Bible Curriculum are interwoven with daily themes. We help young minds grow by intentionally arranging our preschool space, carefully selecting multi-sensory activities, and encouraging parent involvement. Voyages, our early childhood Bible curriculum, is published by the Lutheran Church - Missouri Synod. Beginning with creation, the lessons introduce Bible stories in the course of the school year, using developmentally appropriate stories, songs, prayer, puppets, and learning materials. The Voyages Bible Curriculum also suggests possible themes or activities that can integrate with our emergent themes. Themes of God's love and our need for His love and forgiveness are presented throughout the day. Our mission is "Shining the Light of God's Love and Learning".